Driven to the brink, tigers in India have a sad tale to narrate. Poached for their skin and bones, the regal big cat, which is ironically India’s national animal, faces several challenges in its quest to survive. Kanika Tripathi takes the tiger trail to unravel its tale. Despite protected areas such as wildlife sanctuaries and national parks playing a key role in conserving wildlife, the existence of several wild animals also depends on being able to dwell in human-dominated landscapes. It’s a sad tale to narrate that human being, failing to coexist with the wild, is relentlessly disrupting it. In the recent past, wild animals have been killed in huge numbers for their skins and bones or, in retaliation for conflict with humans, slaughtered under the false pretext of being man-eaters. They have been preyed by skilled hunters to feed an insatiable local luxury market for “exotic” bush meat, and their remaining forest habitats have been inexorably converted to human uses. With wildlife conservation being deeply ingrained in India’s culture and religion, India stands a witness to several incidents, where families have nurtured antelopes, deer, cranes and other wild animals in their homes, said Ravi Singh, Secretary General and CEO, WWF India. “We don’t see any of it now. There is no institutionalisation of protection of rare species. The main repository and protectors are the Forest Ministry, the National Tiger Conservation Authority (NTCA) and other groups. The challenge is we don’t have enough people, corridors and conservation approaches,” Singh added. Sharing of space between humans and wildlife is often associated with conflicts, but truth is that the animal is simply following its instincts ~ all it wants is to survive. To achieve the state that can be described as “coexistence”, there is a need for mutual adaptations. This means, not only do wild animals have to behaviourally adapt to the presence of humans, but humans also have to mould their behaviour to the presence of wild animals. As odd or difficult as this may sound, there are many regions in India where coexistence with the wild is an everyday reality. Take the hilly lake town of Nainital, for instance, where spotting a leopard occasionally in the quiet of the night is nothing new. For this reason, people living uphill and in seclusion keep from roaming about the wilderness after dusk. Similarly, at Gudalur in Tamil Nadu, people have learnt to peacefully coexist with the elephants. Coexistence also includes changes to the way they keep livestock and the adoption of cultural practices to “negotiate” their relationship with their wild neighbours. To bring about harmony in coexistence with the wild, one would have to understand the factors which influence tolerance. On the one hand, some communities may not tolerate any risks from carnivores; on the other, some may tolerate high risks because they attribute carnivores with ecological and cultural benefits that exceed those risks. Interventions such as new policies must take into account local concerns like the adoption of novel decision-making strategies that give voice to rewilding, novel ecosystems and land-sharing vs. land-sparing. There is much beauty in the wild ~ elephants bathing by the moonlight, lions basking in the summer sun, gorillas playing with their babies at blazing noontime, but one may be bold enough to say that there is nothing ever so beautiful and so glorious as the tiger walking out of his jungle. William Blake, in his celebrated poem, The Tyger, has claimed that only a divine being is capable of creating something as divine as the tiger. Sadly, the majestic tiger, once the top predator of nearly all of Asia’s vast tropical and temperate forests, today faces a persistent suite of nearly overwhelming dangers in a vastly diminished range. No one but humans are to be blamed for this. And since we all carry the blame, so shall we deliver the cure. An alarming 97 per cent of the world tiger population perished over the course of a century, and the remaining three per cent remains in a vulnerable state. Of the 3,890 tigers that are left in the world, India is home to 2,226 of them. Poaching has emerged as the biggest threat to the Tigers, along with other factors such as seizure, conflict with humans, natural deaths, habitat loss and electrocution. There has surfaced a need for an inclusive conservation system that brings in the issues of coexistence, relocation, ecotourism and community support along with help in the form of corporate social responsibility (CSR). Peaceful coexistence, depending on voluntarily participation of the local communities, is the way forward. Villagers need to be instantaneously compensated for their cattle loss or crop damage due to tiger and other wildlife activities. When people will see that tigers are bringing them indirect money, they will automatically make efforts to bridge the gap of coexistence. Disconnecting tigers from the environment can do more harm than good for the reason that tigers would become more susceptible to the threats of poachers. Similarly, ecotourism has helped in dealing with the issue of poachers. There was an incident where tourists on a safari spotted a tiger with a band around its neck and later reported the same to the management and thus helped prevent a possible case of poaching, said Ritika Maheshwari, veterinarian, Wildlife Protection Society of India (WPSI). Not only does ecotourism support conservation and environmental management, if carried out properly, it also helps in generating economic and socio-cultural benefits for the local communities. Another issue is that of the relocation of tigers, which has to happen in a well-planned manner else there is a high chance of losing the animal. 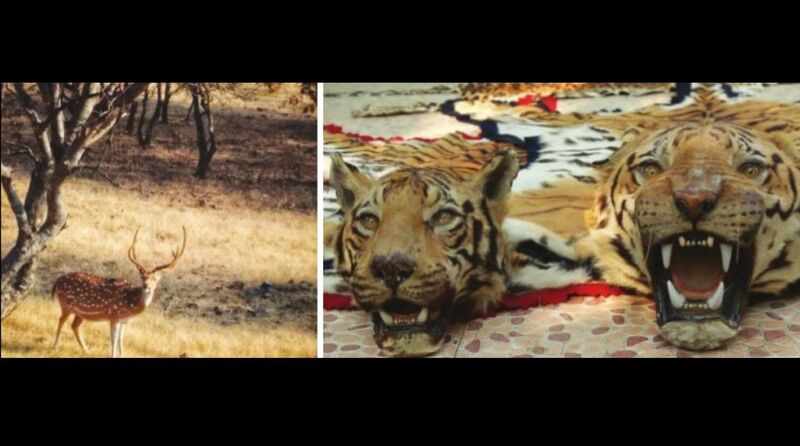 “In an unfortunate inter-state translocation from Sarika Tiger Reserve, Madhya Pradesh, to Satkosia Tiger Reserve, Odisha, one of the tigers died of poaching and the other one is still not settle down,” said Maheshwari. A major concern is to prevent inbreeding of the tiger species and thus increase the viability of the tiger population. To achieve this, it is necessary for every protected forest to have a good population of breeding tigers in the neighbourhood. This ensures that the Tigers are passing on their special genes to the next generation and thus preventing a genetic drift. “We lost our Sariska tigers because there was no connectivity with other neighbouring population although now the population has been revived,” said conservation biologist Dr Raghu Chundawat. Tigers continue to face an uphill battle for their long-term survival. Survival instinct has also led them to explore human inhibited landscapes and eventually kill humans ~ either for food or upon being felt threatened. With a heavy heart, many have suggested that once the royal being becomes a man-eater, it’s better to euthanize it than to keep it in captivity where it doesn’t belong. Once left with a tiger population of less than 20, the Ranthambore National Park is now thriving with a population of over 65 breeding tigers. The National Park has seen a long and relentless war against illegal livestock grazing, woodcutters, illegal mining and poachers. Today, the reserve has not only become a breeding habitat for other neighbouring forests but it’s also a success story for many other national parks to derive inspiration from. The International Tiger Week (ITW) conference, held in December in Ranthambore with participation of serious tiger conservationists, wildlife aficionados and enthusiasts, witnessed some eye-opening lectures on the threats facing the tiger, ideas and potential ways forward to conserve the species and its habitat. Although Ranthambore is considered one of the best models for tiger conservation in India, the reserve is still facing a scale mismatch. To deal with this situation, there is a need for 14-15 breeding females, who can be divided into three to four core places. This in turn will help to sustain a population of over 170 individuals. Along with policing to curb offences in the reserve, a partnership was forged with like-minded NGOs to bring reform in the communities and associate them with wildlife conservation. With inputs from the tourism industry and development of infrastructure, Ranthambhore developed its ecotourism. The primary focus of conservation activities in this region is to ensure connectivity between Ranthambhore and surrounding protected areas to facilitate dispersal of tiger populations across larger habitats. There is a regularly monitoring of the movement of dispersing tigers using camera traps to identify routes used by them to move between forests. Tigers dispersing out of Ranthambore often pass through human habitations, sometimes leading to conflict. It is therefore that the support of local communities is essential for conservation efforts to succeed. WWF India engages local villages in a range of activities from training some villagers in monitoring of tiger movement, setting up camera traps and informing forest department and WWF India personnel of wildlife presence and movement in corridor areas. Ranthambhore has made some noteworthy progress in mitigating the threats to tigers. With improved protection in the forests and increased community support, tigers and humans are gradually finding ways to coexist with harmony.